Air France has resumed operations between Paris and Belgrade following a six-year hiatus. 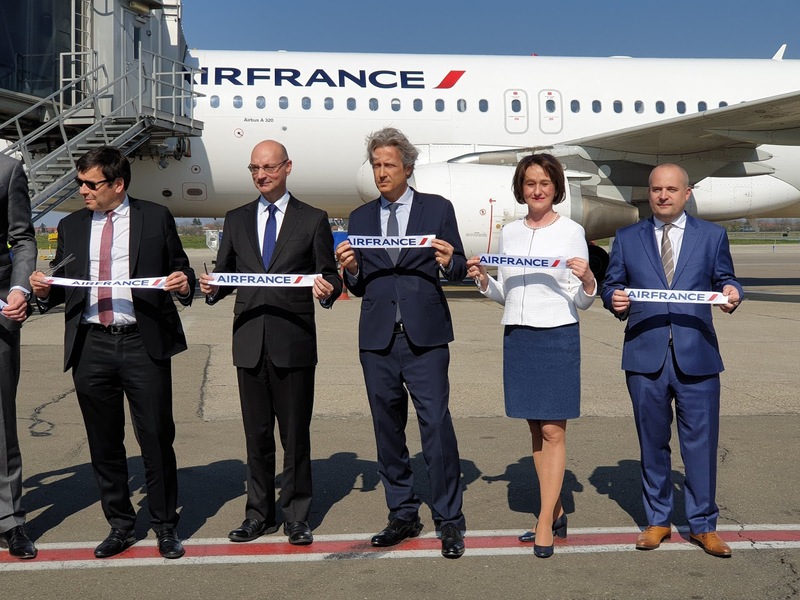 To mark the occasion, Air France - KLM's General Manager for Alps, Balkans and Central Europe, Thijs Komen, the Chairman of VINCI Airports, Nicholas Notebaert, the General Manager of the French-operated Nikola Tesla Airport, Nicholas Brus and the French Ambassador to Serbia, Frederic Mondoloni, greeted today's service from Paris. Mr Komen said, "I'm happy that after six years we are back with our own aircraft. 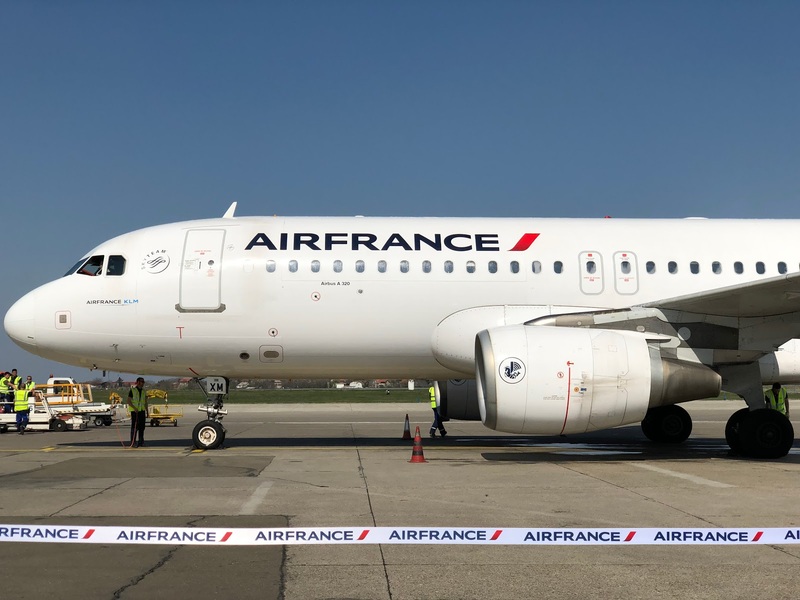 We will serve Belgrade with daily flights on the Airbus A319 and A320 aircraft. 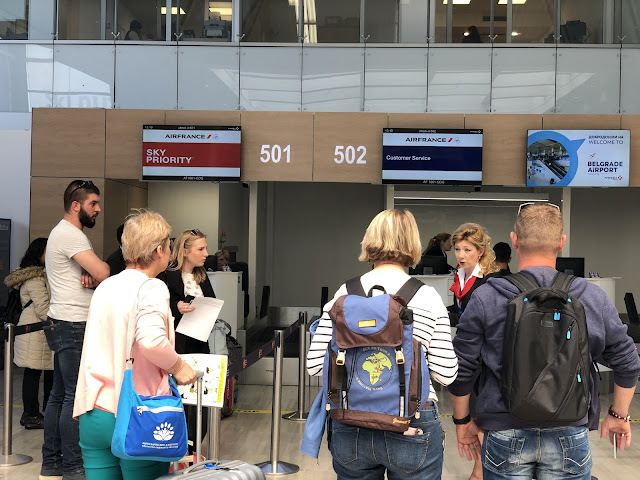 Together with Air Serbia, we will offer three daily flights with excellent connections to North and South America". 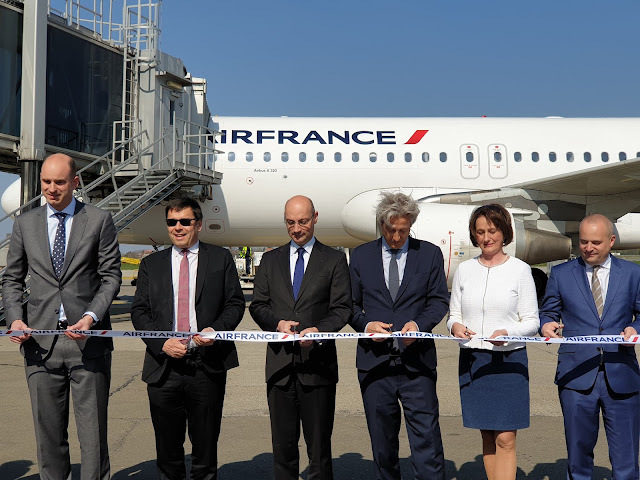 Air France - KLM's Senior Vice President, Zoran Jelkić, said, "We have a long and mixed history with this city. The Serbian economy is growing and French investments in Serbia are increasing. Air France wants to be part of this story. We are very proud to be back. For the time being, I can say that advanced bookings are looking very promising. We are optimistic that this will be a year-round service. We expect that 60% of traffic will be point to point, 25% long haul transfers, particularly to North America, and the rest will be European transfers". Nice, this route is one of the first results for new Belgrade airport management. They have been managing BEG for 100 days now. Noteworthy achievements in the first 100 days include couple of new route announcements, redesigned airport web site and new branding at the airport. That's it. Did I miss anything else worth mentioning? What are they expected to do in a 100 days? Have 100 new routes opened and five new terminals built? They have alredy started clearing land in front of C platforms. Yup you missed Lufthansa's third daily from Munich which started on 31.03. Nemjee - do you know when Swiss will going triple daily ? They announced the third rotation for the summer timetable but today there were still only two flights . What do you mean by clearing land in front of C platforms? Is it on the airside where taxiway A is; or is it on the landside where car parking is located? Landside. Major area next to carpark all the way down to the deicing platform. Thanks. Is it for a new car park or terminal expansion? Not sure. They strted around 2-3 weeks ago. I see that they are slowly increasing flights from 05.05. They start with a single flight and then from June they add them at a faster pace until they reach 21/week. It was obviously cut into by the time the photo was taken. It didn't cross your mind that they cut it for several people and that there is more than one person present at these things? 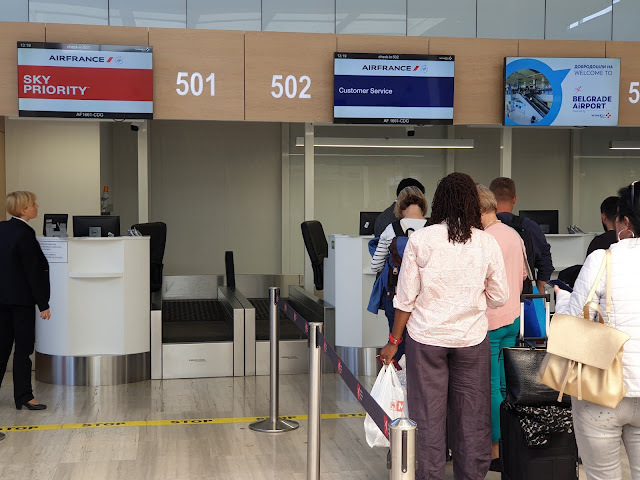 The Air Serbia terminal in Paris is AWFUL. 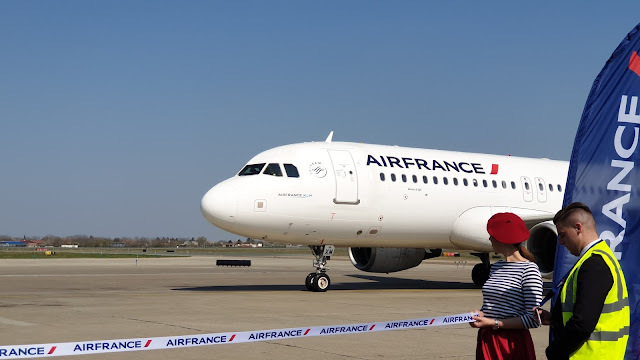 Air France is welcome back. It should be a precondition that flights have to become profitable in summer first, before announcing them year round ! 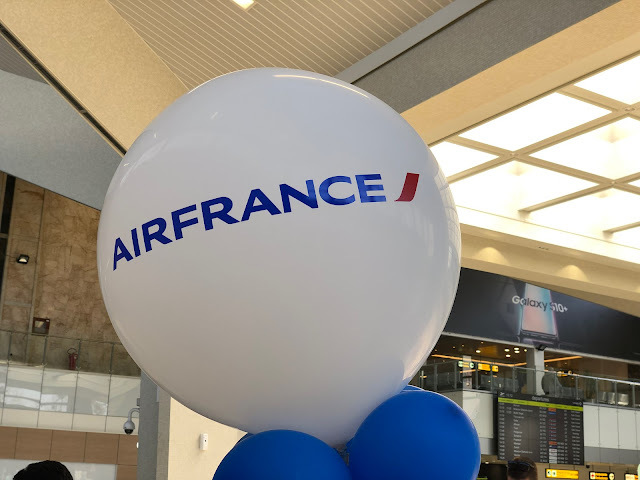 This is a whole new destination for Air France and Air Arabia and thus a safe bet is impossible to make. 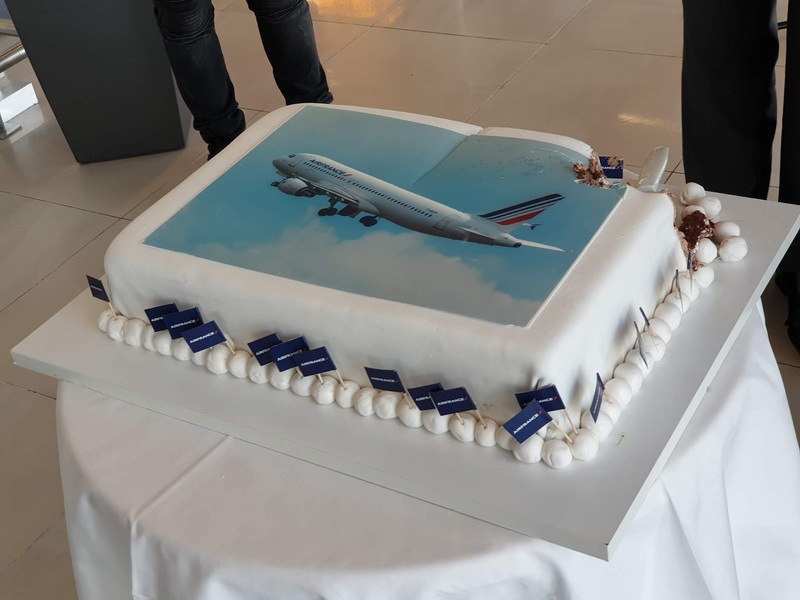 Air Fance definitely profits from the codeshare with Air Serbia. Extremely important is the succes of Air Arabia because they would for the first time bring in inbound passengers from the UAEs - Belgrade is totally unknown in the Gulf states unfortunately but with big potential. Visitors from the Gulf are big spenders and totally would boost Belgrades economy no doubt with it! If Air Arabia is succesful they not only go year round but also their daughter companies Air Arabia Egypt and Air Arabia Maroc could fly there. Vinci if clever even should give them heavy discounts to make their route a success. Good luck to both of them . Are you for real? Belgrade unknown in the Gulf states? FYI there were double daily flights from Abu Dhabi and those included many inbound tourist pax. Yes iam for real - all flights from Belgrade by the Gulf Airlines are majorily for transfers. O&D to the Gulf is at least 90 percent Serbian nationals. Btw thank you admin for your help which is much appreciated. Their new logo is absolutely disgusting. Why did they need to put those letters together? 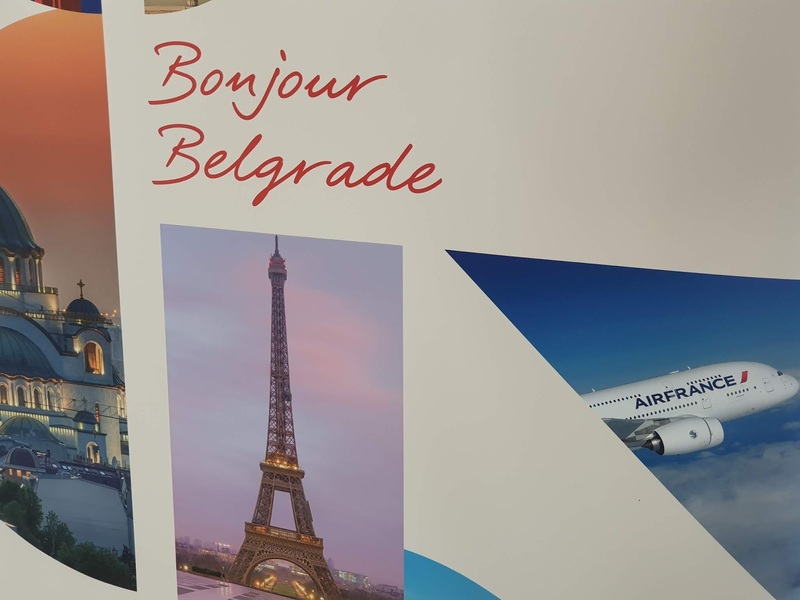 "Together with Air Serbia" might as well be: "Colluding with Air Serbia we will continue ripping off consumers with overpriced flights to Paris and beyond..."
We have covered this subject, dear. You didn't pay attention. Despite of having 4 carriers, the prices are minimum 200€ without luggage. 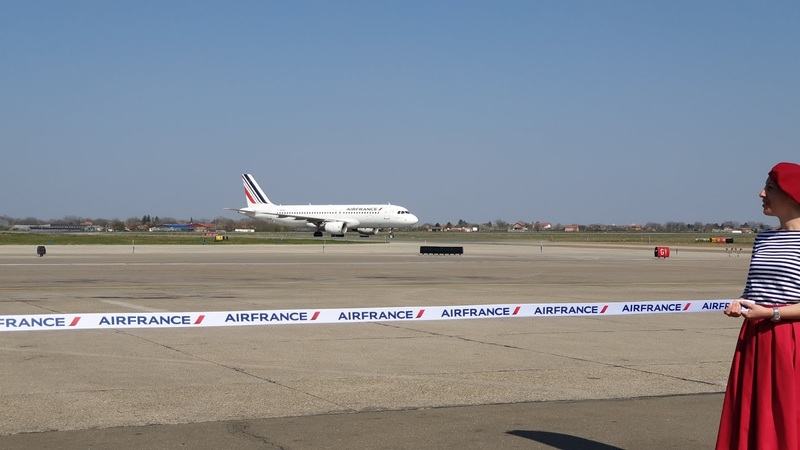 As Anon 21:19 said, Paris remains one of the most expensive European routes from/to Belgrade. Situation is quite similar with London. We also compared BEG with smaller TSR, where the prices from/to there are more than half of the prices offered. I hope this made you understand a bit. Are you seriously comparing BEG and TSR? No wonder flights from TSR are half the price when costs are much lower. Also TSR is in a bad place right now since their passenger numbers keep on crashing. TSR figures have got nothing to do with Paris prices. If TSR has lower costs then why is it also much cheaper to fly from SKP or ZAG for instance? @Anon at 8:32 Reality check for this region: ZAG-FRA and ZAG-MUC. Call me when 4 airlines, not belonging to the same alliance, two of those four low cost, offer same choice of services between those cities. I guess airlines can get away with high fares in Belgrade and not in SKP or ZAG since Belgrade traffic can afford it. Of course they haven't - but Air France and Air Serbia "cooperating" (colluding) most definitely are and they together represent the majority of the direct capacity on this route. I have heard about further widening of market by code sharing connection with Air Serbia to Larnaca, Skopje, Podgorica, Sarajevo. Is it agreed already or stand by ?